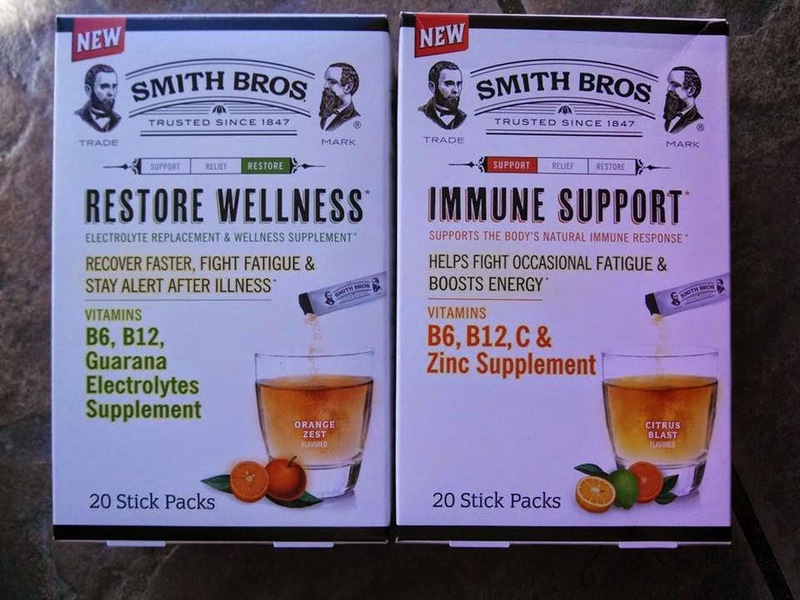 ThemeParkMama: Smith Brothers Wellness Products #Giveaway! 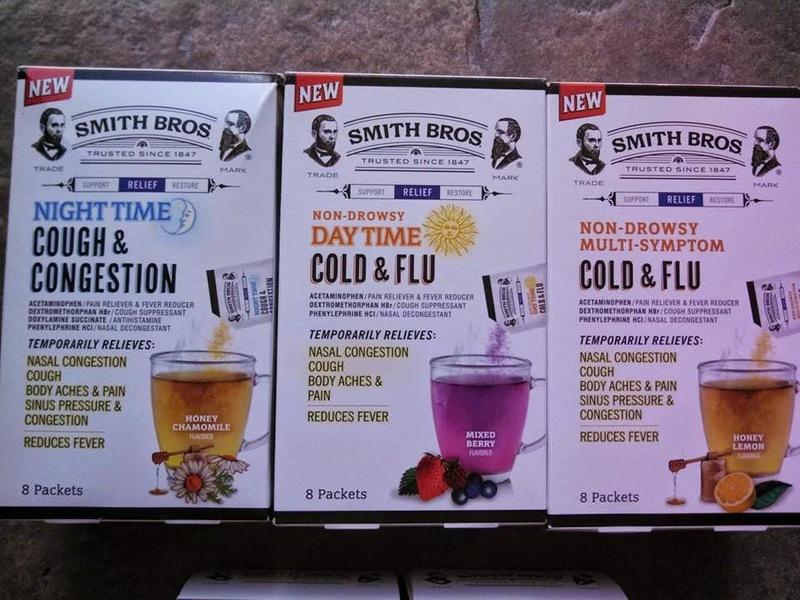 Just in time for Flu season Smith Brothers has come out with a whole new line of products which are made to make you feel better and get through the flu, cold or whatever it is you may face. Smith Brothers came out with a whole line that only requires water to enjoy. The first of the line is Immune Support which comes in the one flavor of Orange. You can enjoy the Immune Support in the forms of Tablets, Packets, and Chewable Tablets which are amazing its hard just to have one. Both come in packs of 20 so you can beat the cold or flu before and hopefully without getting if you stay on top of your Immune Support. Next is System Relief so you skipped a few days of taking your Immune Support and your now sick.........fun. So now your just plan blah so you check out Smith Brothers new Symptom Relief which is a Non-Drowsy Multi-Symptom Cold and Flu relief packet in a honey lemon flavor. This is good hot or cold but when hot it mixes better and goes down easier to really feel the relief. If you know you have a Cold or the Flu you can also turn to Non-Drowsy Day Time Cold and Flu packets in a mixed berry flavor. Smith Brothers also came out with a Pure Honey Cough Drop to help ease your throat. For at night use Night Time Cough and Congestion packets also a honey lemon flavor. Finally you have Restore Wellness, which is for when your not perfect but your able to do a bit more and not be stuck in bed feeling blah. The Restore Wellness comes in a 20 count tablet mixed berry or a 20 count stick packs of orange zest. The Restore Wellness helps your body to recover faster, fight fatigue, and stay alert after illness. All Smith Brothers products represent the highest standard of safety. Smith Brothers’ products are effective in delivering upon their promise. 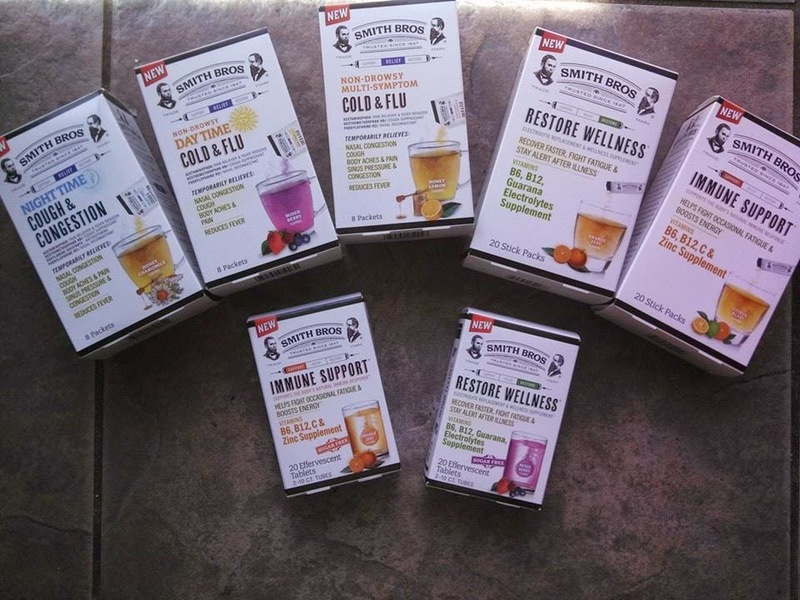 Smith Brothers products are portable with stick packs, sachets and tubes that offer convenience when consumers want to take the products. Importantly, the products’ formats and flavors are enjoyable. You can find these products and more from Smith Brothers at your local retail store. Also you can see the whole line of products from Smith Brothers by clicking here. 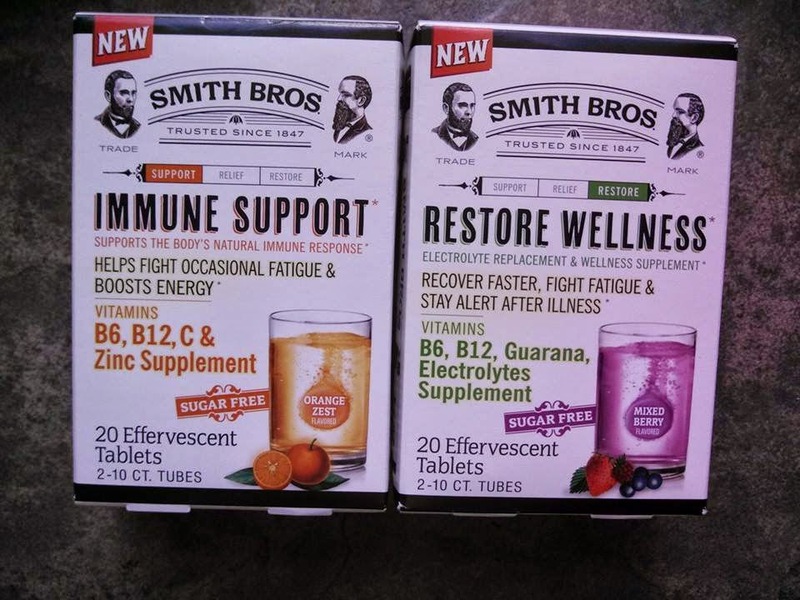 Enter to win a Smith Brothers Wellness Prize Pack, open to U.S. residents only. Contest will end October 28, 2014.